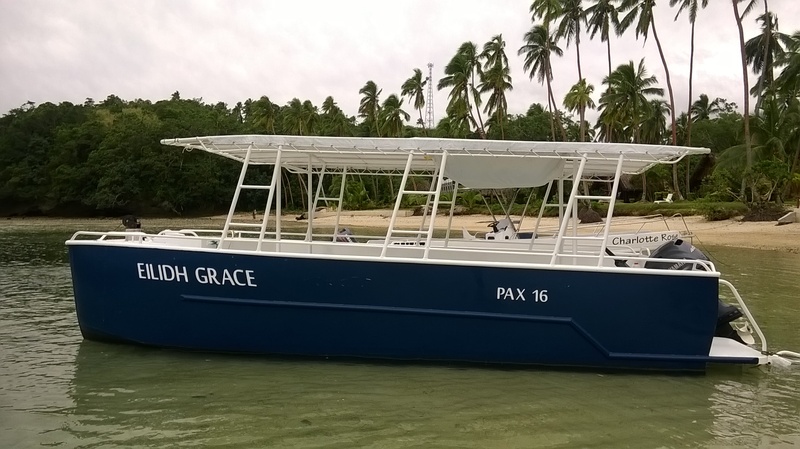 The design brief was for Glass Bottom Catamaran for watching reefs and marine life in the Pacific Ocean through the glass panel. 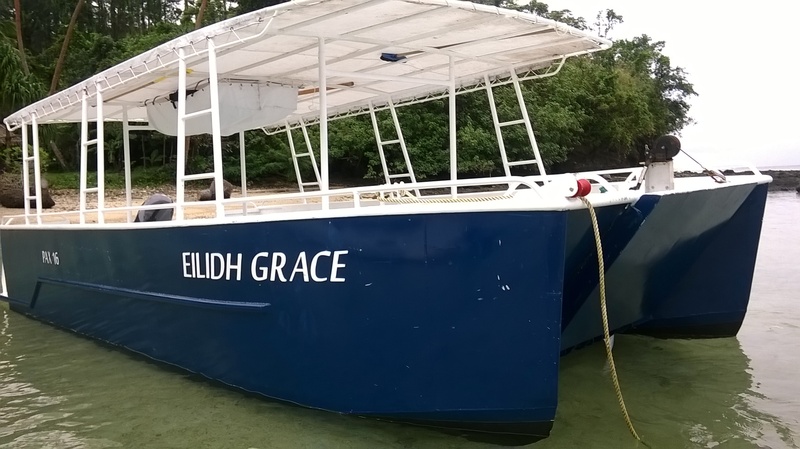 She can carry up to 12 passengers and 2 crew while maintaining the utmost in seaworthiness and stability assuring greater passenger comfort and experience. 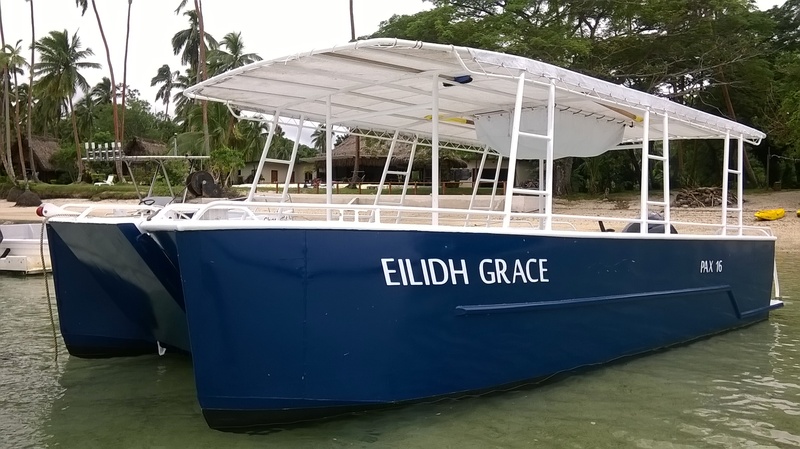 The boat is boarded via an easy access bow ramp for embarking and disembarking directly on the beach, or thru 2 transom doors when jetty is an option. The Hull form, the exterior and the interior are modeled in 3D CAD. The structure plates are CNC cut. The construction material is marine grade aluminium alloy. The building of the first two boats is due to start. 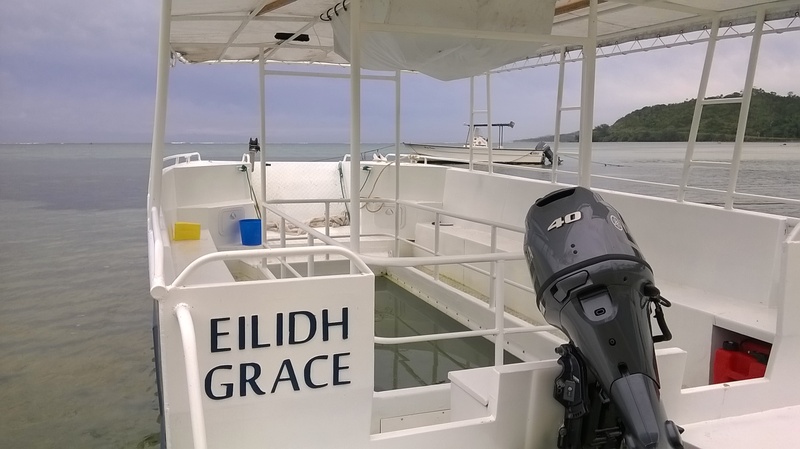 The boat complies with the European RCD requirements for CE approval Category C.